We are ready to present a tutorial on how to install CherryFramework4 theme with sample data using .sql file. 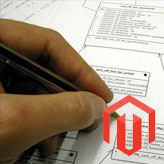 WordPress template requires WordPress engine to be installed. Please make sure you have WordPress installed before template installation. You can check our video tutorial on how to install WordPress. 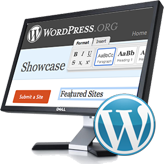 It will show you how to do WordPress engine installation. If you have difficulties installing the theme through the WordPress admin panel, you can upload it through the FTP File. Unzip cherryframework4.zip file on your computer (right-click .zip file, choose Unzip to: cherryframework4, after that you will see cherryframework4 folder). 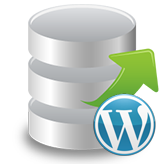 Upload cherryframework4 folder to wp-content/themes directory on your server. Log into your WordPress admin panel, navigate to Appearance > Themes page. Uploading images. Copy the uploads folder (you can find it in the theme/manual_install/ template folder) into the /wp-content/ directory on the FTP server. Accept folder(s) replacement. Please note that your images may be replaced with sample images. Make sure there is no forward slash “/” at the end of the URL, it also should start with http://www. Replace all “your_website_url_here” instances, save and close the file. Now you can import .sql file to the database. 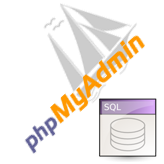 Open your site database using PhpMyAdmin tool. You can locate it on your hosting Cpanel. Select your database. Click Import tab > browse your theme#####.sql file and click Go button. Now you can check your site to see the template installed. 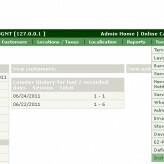 This entry was posted in Monstroid Tutorials, WordPress Tutorials and tagged dump, install, sample data, SQL, WordPress. Bookmark the permalink.